High-grade robust compression fitting with cylindrical thread (G1/4"). The hose is fixated safely by the union nut and seals immediately, yet it can easily be released with one hand. 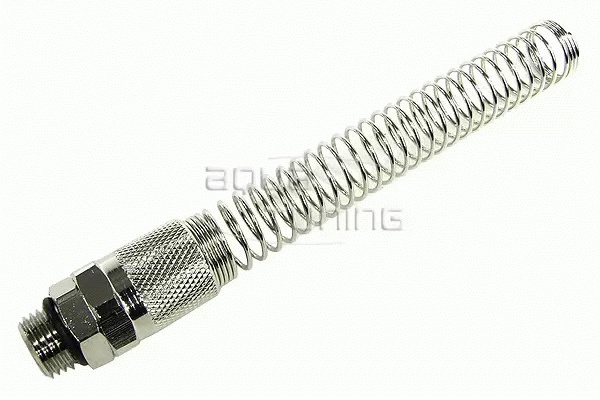 For added safety the union nut has an integrated Anti-link spring for 13/10mm tubing. This systems ensures maximum safety and ease of installation.